George Conway, Beto O’Rourke, Devin Nunes and a Cow, and Wit with the author of WIT’S END, WHAT WIT IS, HOW IT WORKS, AND WHY WE NEED IT, James Geary and we’re just beginning. 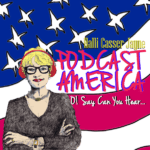 Welcome to The Halli Casser-Jayne Show and our weekly political review with Halli and veteran White House correspondent Matthew Cooper the podcast posted at Halli Casser-Jayne dot com and on all your favorite apps. As always, Halli and Matt slice and dice the week’s political news. There’s a lot of news and a lot of questions needing answers. Beto, Bernie, Harris, Warren can any of the announced Democratic Party candidates for POTUS beat the man waiting in the wings, Joe Biden? What are we to make of Kellyanne Conway’s husband George Conway’s battle royale with Donald Trump? Why is Devin Nunes having a cow? We love palace intrigue on The Halli Casser-Jayne Show. 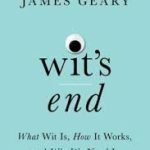 In our second half-hour because we all need a laugh, from New York Times best-selling author James Geary comes WIT’S END: WHAT WIT IS, HOW IT WORKS, AND WHY WE NEED IT, a whimsical book that explores every facet of wittiness—from its role in innovation, to why puns demonstrate the essence of creativity. According to Geary, wit is much more than just having a knack for snappy comebacks. It is the quick, instinctive intelligence that allows us to think, say, or do the right thing at the right time in the right place. Whether we’re talking verbal repartee, jokes, jive, through neuroscience, psychology, folk tales, spirituality, visual art, and literary history, Geary demonstrates that wit and wisdom are really the same thing. George Conway’s war with Trump. Beto O’Rourke enters the presidential race. Devin Nunes has a cow and WIT in the age of Donald Trump…these stories and more when journalists Halli Casser-Jayne and Matthew Cooper talk politics and Halli talks with author James Geary on The Halli Casser-Jayne Show, Wednesday, March 20, the podcast posted at Halli Casser-Jayne dot com, and on all your favorite apps.